Buying a home is an exciting and complex adventure. It can also be a very time-consuming and costly one if you're not familiar with all aspects of the process or don't have all the best information and resources at hand. 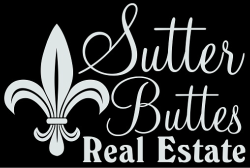 One of our specialties is representing the best interests of Yuba/Sutter area buyers throughout the home buying process. Our comprehensive, high-quality services can save you time and money, as well as make the experience more enjoyable and less stressful. Step One: Get prequalified for your home loan. it's free with no commitment. Pre-qualification proves that you're ready and able to buy, shows how much you can afford, and gives you the power to purchase when you find your perfect home. Step Two: Search for homes you like. Get the list of homes that match your desires by entering your search criteria on the search form. After you narrow the list down to your favorite homes, call us and let us know which ones you want to see and we will schedule a viewing appointment. Step Three: After we see your favorite homes in person, it's time to decide which homes we should make an offer on. We'll plan a strategy and negotiate the best terms and price that we can, giving consideration to your closing cost needs and the level of competition. Step Four: After we submit our offers it will take a few days for sellers to review them. Sellers can accept our offer, reject it completely, or make a counter-offer for us to consider. Once an offer is accepted we will cancel all other offers and we then move forward with inspections, escrow, and final closing steps in the purchase process.